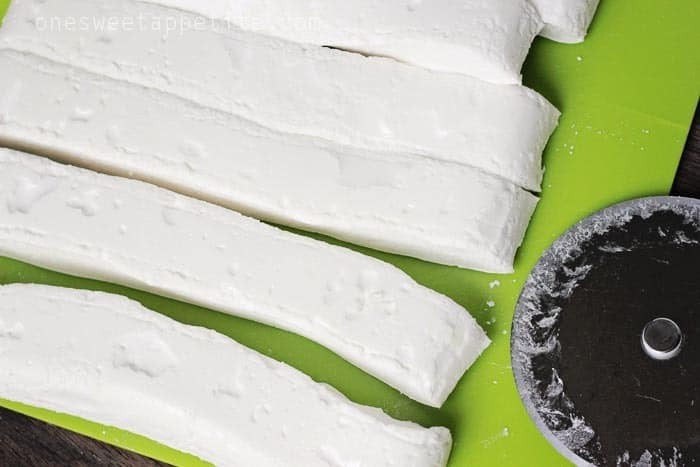 This easy Homemade Marshmallow recipe is ideal for snacking, hot cocoa, or camping! You will never buy a bag in the store again! Ya’ll… Never in a million years did I think I would love making candy. Truth is, it is so much easier than I thought. 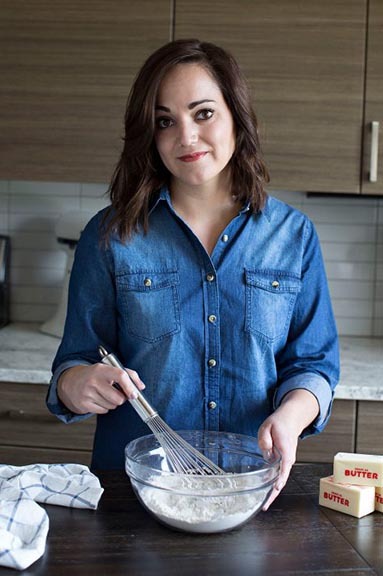 Since the day I tried this recipe it has been the most requested dessert in our home. 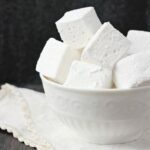 Homemade marshmallows are light, fluffy, and so much better than store bought. You can cut them into practically any shape making them even more fun! They add the perfect finishing touch to your cocoa and melt perfectly in smores! And I highly recommend you add these to your krispie treats! 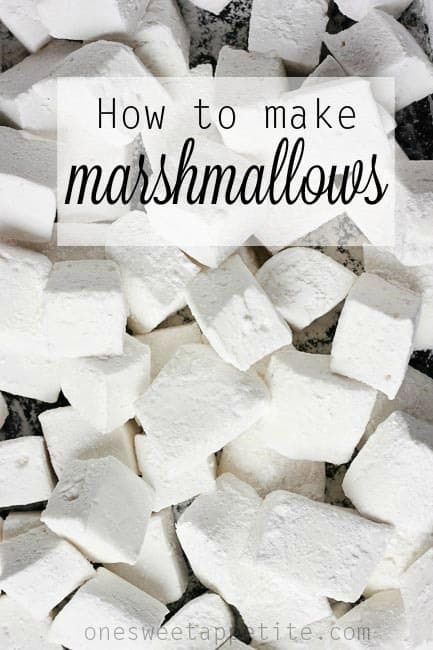 How do you make marshmallows from scratch? INVEST IN A GOOD candy thermometer. The very first step is cooking water, sugar, and corn syrup to a temperature of 240 degrees. From there you want to slowly whisk into bloomed gelatin. Whisk until light and fluffy with a beautiful gloss. Pour into a prepared pan and let sit overnight. 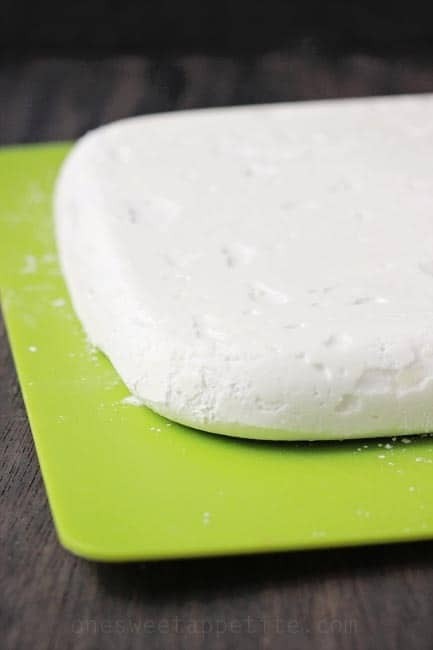 Once you have made it all the way through to this point, your marshmallow should look a little something like the big block above. Tip it out onto a large cutting board. Grab a pizza slicer and start cutting away! You might need to dust the blade in some of that remaining cornstarch and powdered sugar mixture. Things are going to get sticky. Very sticky. Once you have all of your squares cut, dust them in the remaining cornstarch mixture. This should help cut back on all of the gooey/sticking together issues you have most likely been having. Combine the gelatin and 1/2 cup of water in the bowl of an electric mixer fitted with the whisk attachment. Stir together the remaining water, sugar, corn syrup, and salt in a medium saucepan. Bring to a boil. Cook until it reaches 240 degrees on a candy thermometer. Turn your mixer onto low speed and slowly drizzle in the hot liquid, combining with the gelatin. Once you’ve emptied the saucepan turn the speed to medium and let the magic happen. You want to continue stirring until it has thickened and turned solid white (around 10 minutes). While that is mixing, combine the powdered sugar and cornstarch. Spritz a 9x13 pan with nonstick spray and dust with a portion of the powdered sugar mix. 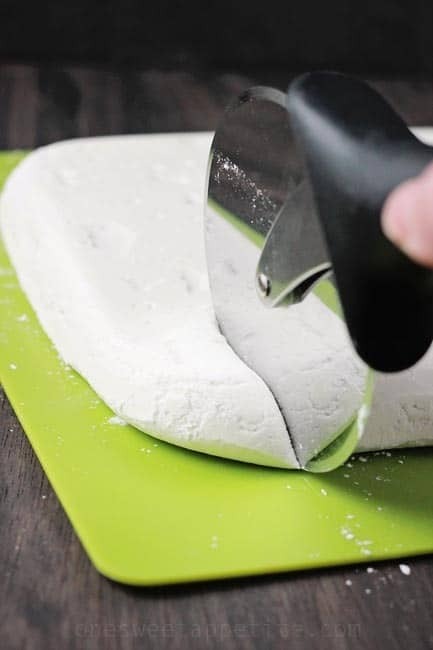 Turn the marshmallow out onto a cutting board. 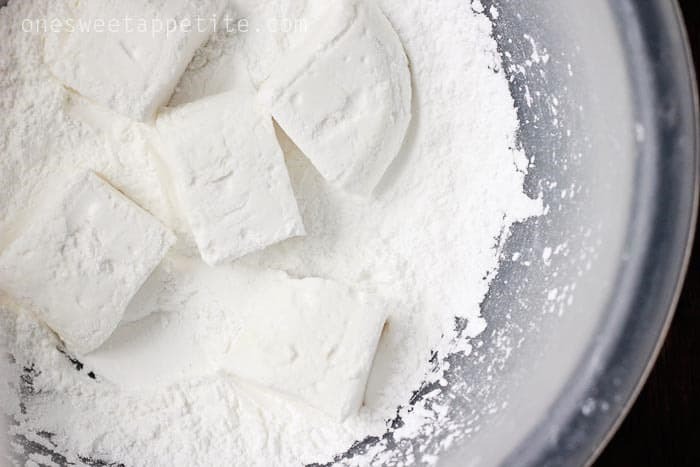 Slice into 1 inch pieces and toss in the remaining powdered sugar mixture. what a cool idea! these look super fun to make! Can we use normal salt? And cn u tll me the recipe with one pack of gelatin? Can these be arrested over a campfire. Some of these homemade ones fall apart before they are browned. I’ve never tried but I think you would be safe. These are the closest I’ve come to store bought varieties. At what point do you add the vanilla? This is jeongim who is working in OLLA.Co., Ltd.
and also preparing a eBook for our customers about food recipes. and we would like to introduce your recipes to our customers by eBook. Our eBook will be provided to our customer when they purchase our product if they want to. If you give us your consent, your recipe will be introduced in our eBook and we will provide your name and website information together. We think our customer would be very happy with yours, and before we start to design work for our eBook, we are looking forward to your positive answer. Thank you for reaching out. If you would like to contact me at [email protected] I’d be happy to discus this further.